Yee Hah! Grab your hat and your spurs and get on board with the most beautiful cowgirl in the West! 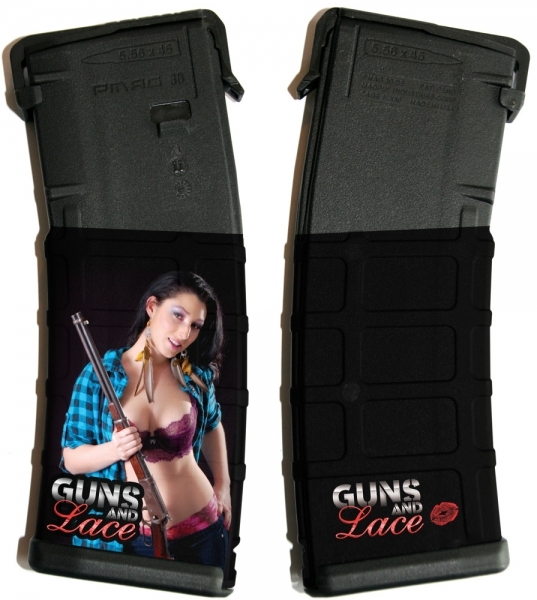 Collect your very own Guns and Lace girl ,Jessie AR15 30 round magazine and head 'em up and move 'em out. Order today or get left behind. Buy one or order them all, but make sure you get 'em for they're gone!